At times, he succeeds: He offers glimmers of what lies beneath the near-mythic, elegant exterior, but Larraín’s take is more impressionistic than revelatory, more presumptuous than knowing. His cinematic depiction of Jackie feels like a strained compilation of familiar images and intrusive moments that don’t always add up to a coherent picture. 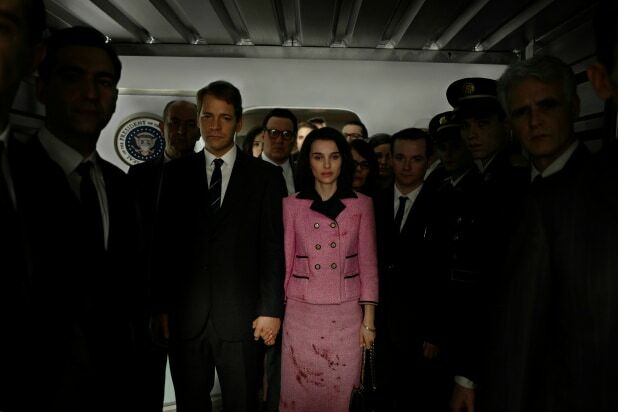 Casting Natalie Portman, who clearly resembles the iconic first lady, was an inspired choice. Larraín’s dreamy narrative is set in the wake of the shocking assassination of John F. Kennedy (Caspar Phillipson), intercutting the tragic with the prosaic (Jackie’s famous televised tour of the White House) as well as the cathartic (the legendary funeral procession Jackie meticulously planned to honor her husband’s legacy). Her determination to hold a grand funeral like Abraham Lincoln’s put her in conflict with key figures in the administration worried about safety. These sequences are perhaps the film’s most illuminating. Larraín employs a forced framing device: the bereaved widow being interviewed at the family’s Hyannis Port home by a Life Magazine reporter (Billy Crudup, as “The Journalist,” who’s presumably Theodore White). 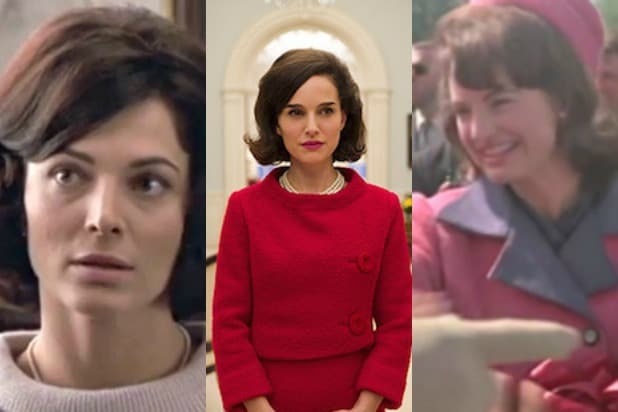 In the dialogue from screenwriter Noah Oppenheim (“Allegiant”) and in Larraín’s tight close-ups, Portman’s Jackie alternates between distress, restraint, disdain and mournfulness, cycling quickly through these emotions, only intermittently seeming credible. “I’ve read a great deal, more than people realize,” she tells the reporter. “And the more I read the more I wonder.” Given that she went on to a career in publishing, Jackie’s zeal for the printed word is clear. But what does she wonder? We get little sense of the depth of her intellect, or the nature of her contemplation. Larraín does, however, convey the depth of Jackie’s spiritual crisis after her husband’s untimely death. Her conversations with a trusted priest (John Hurt) are haunting. Portman’s whispery voice and enigmatic delivery can be distracting. Her breathy, lightly accented speaking style feels labored and occasionally cloying. The dialogue doesn’t do much to elucidate what drives the first lady’s mysterious reserve. But when Jackie speaks of her husband’s horrific fatal shooting, an authenticity emerges: “You want me to describe the sound the bullet made when it collided with my husband’s skull,” she says almost tauntingly to the reporter. The narrative is fractured, switching back and forth between the fateful day of the assassination and the interview a week later. It’s not hard to follow, especially since the events are so widely known. But, in some ways, the disjointed timeline creates an emotional distance. The score by Mica Levy (“Under the Skin”) is more akin to sound design than music. Dissonantly eerie, presumably to underscore the unreality of what Jackie endured, stringed tones tones flare intrusively at unexpected moments. Stephane Fontaine’s cinematography is stately and beautifully somber. John Carroll Lynch offers a convincing physicality and manner as Lyndon Baines Johnson, Kennedy’s vice-president sworn in as president after the shooting. We get hints of the tension between Johnson and Jackie. We also see her brother-in-law Bobby Kennedy (Peter Sarsgaard) quickly fall into protective mode. “I tried to hold his head together,” she tells him, as they ride in the back seat together after the shooting, with a blend of disbelief and defiance. That’s a far more believable scene than later one, where she boozily listens to “Camelot” and is awash in emotion in a theatrical flourish that feels more staged than moving. Jackie’s interactions with the visiting journalist don’t feel fully authentic. After answering the door of her seaside home herself, she quickly launches into a diatribe about press depictions of her slain husband. Would someone so guarded behave this way with a journalist, only a few minutes after they’ve met? When her interviewer asks how she would like her husband to be remembered, she admonishes him: “You understand that I will be editing this conversation just in case I don’t say exactly what I mean?” When he demurs, she insists. The power imbalance is clear. The reporter asserts that the article will highlight her version of what happened. Yet the viewer gets the sense that the film isn’t doing the same. It’s Larraín’s version, of course. While it’s intriguing to see what the Chilean director emphasizes in this drama (her young son and daughter play the most miniscule of parts), the sense that essential elements are missing is, lamentably, a nagging constant.